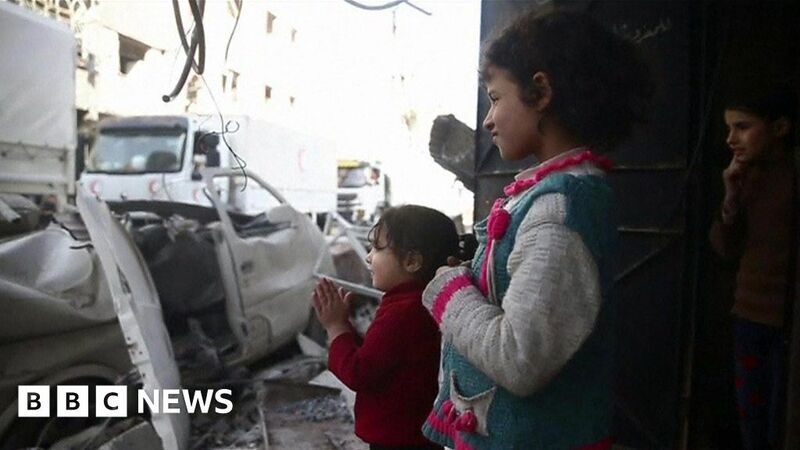 A UN convoy delivering aid to the rebel-held Eastern Ghouta area of Syria has cut short its mission and left the enclave amid shelling. Activists said dozens of people died in air strikes by Syria’s army on Monday, despite a supposed five-hour truce. A UN refugee agency official said the convoy – the first since mid-February – delivered as much as it could in the Douma town and left after nearly hours.